Sometimes all we make a mistake and delete our necessary messages conversation from our Android smartphone. We delete our text messages, or sometimes we delete the full conversation by mistake on our smartphone. This is not a big issue because most Android smartphone users face this situation. Don’t panic there is a solution to Recover Deleted Messages on any Android smartphone. Yes, today we come with a complete step by step guide to Recover Deleted Messages messages on any Android smartphone. We think that when we delete any data from any gadgets (which have a memory to store the data like mobile, computer laptop) and never get back. But we are wrong when we delete the data from any memory taken device we just remove the address of that particular data item from the memory. Our Data is still taken place and store in the memory. We get back our complete deleted data from memory until unless any other data is overwritten on the memory location. So when any person deletes their important conversation from their device. We recommend those people; they did not perform any application installation and up gradation, until the data will be recovered completely otherwise they may lose their text permanently. To Recover Deleted Messages and any other data from Android smartphone FonePaw Android Data Recovery gives a decent solution to resolve this issue. 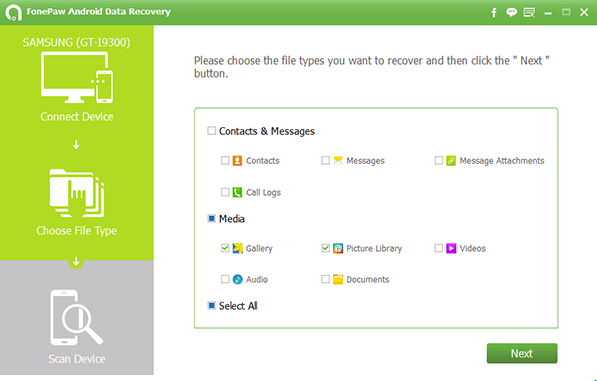 In this tutorial w will go to Recover the deleted message using the FonePaw Android Data Recovery Tool. 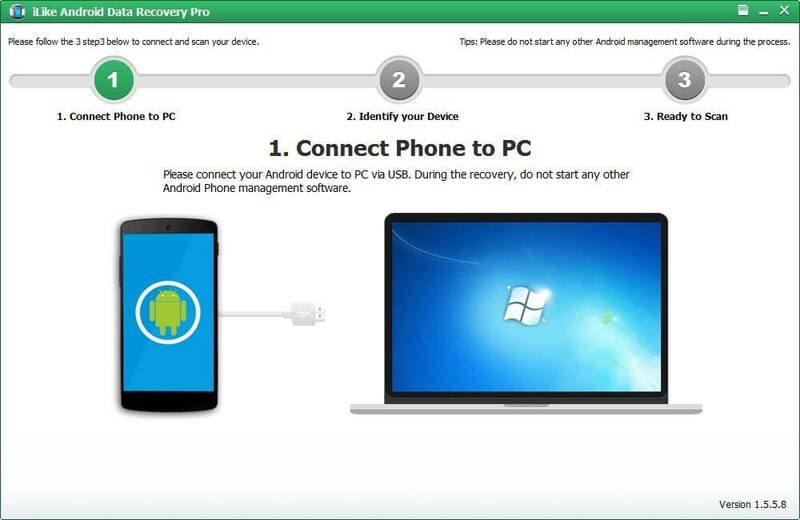 This data recovery tool for Android device which runs on the Microsoft Windows platform. Download it now. 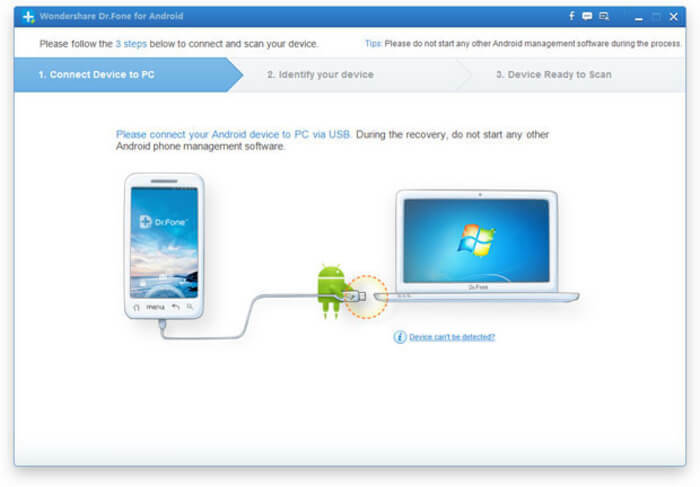 Connect your Android device to your PC via USB cable, make sure that your device driver is already installed on your PC. FonePaw automatically detects your Android device on your PC. Now choose the files for recovery. Once you selected the files, then click on Next button to start scanning the files process. After scanning process completion, choose the files which are you want to recover, this Android data recovery tool displaying the previews of a file before retrieving them. There are lots of utility tools re available to recover the text messages as well as any data from the Android smartphone. 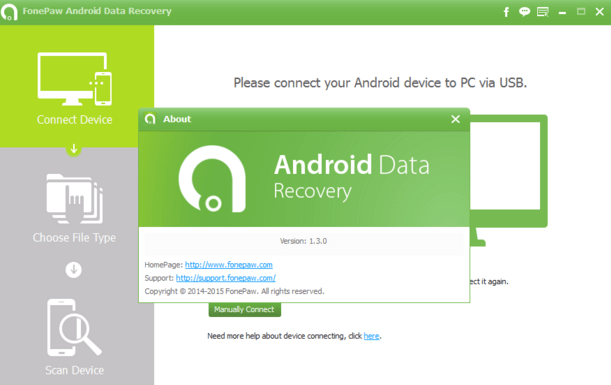 We have to install this utility on our PC to recover data from android d smartphone. See the list of tools to recover text messages from the Android smartphone. Android Data Recovery is very popular utility to recover data from any Android phone. By using this application, we easily recover video, audios, SMS, WhatsApp conversation, Photos, and Call history as well. This utility is available for Windows Powered computer systems. Dr. Fone For Android is an another best Android data recovery utility to recover music, videos, images, text messages, WhatsApp messages and all another file such as Documents. This utility is available in trial version this mean is that we can use this software for free for limited period. Dr. Fone For Android is available for Windows and Mac. 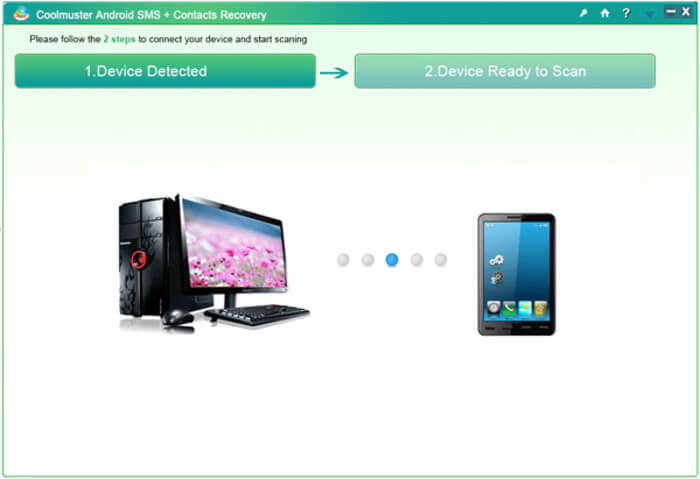 Coolmuster Android data recovery is the very popular alternative to recover data from the Android smartphone. Coolmuster is capable of retrieving data from internal storage to external storage as well. Coolmuster is available for both Windows and Mac operating system. 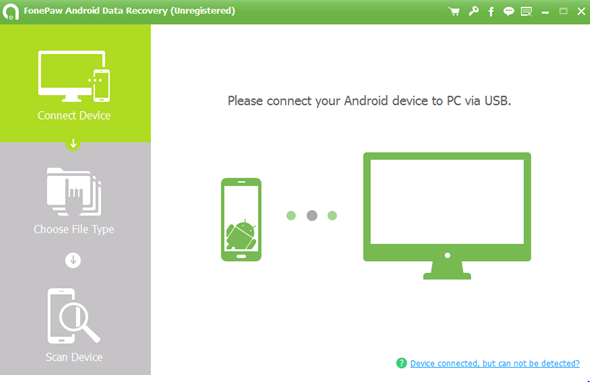 We hope this guide will help you to recover deleted data from the Android smartphone. We give complete step by step in every easy possible method as well as mentions all other best alternative to recover deleted messages from an android phone. If reader faces any the problem during the recovery of Messages and data comment your problem in comment box we solved issues as soon as possible. Which is very useful nd interesting as well as Knowledgefull. I had tried this trick and its 100% working.. So keep posting such amazing concepts..